Ensuring water security is becoming an urgent matter of Vietnam in the context that climate change is causing bad impact on all aspects of the life from socio-economic affairs to the environment and ecosystem, heard a conference in Hanoi on April 19. Jointly held by the Vietnam’s Association of Foreign Invested Enterprises, Vietnam Academy for Water Resources (VAWR), German Network for Water, Sanitation and Hygiene and German Agency for International Cooperation (GIZ), the conference aimed to better public awareness of consequences of climate change on the environment, especially on water security. It also gave a chance for both domestic and foreign scientists and agencies to share knowledge about science and technology, and experience in preventing environmental disasters by practical solutions. Deputy Minister of Science and Technology Tran Viet Thanh said that climate change has been making challenges on water resources more complicated and unpredictable. River water and ground water levels are decreasing, while the sea level, flood tide and salt intrusion are on the rise, he stated, adding that the demand for water in production and daily activities also increases due to the industrialisation and urbanisation process and population growth. The demand for water increased from 50 billion cu.m a year in 1990 to 72 billion cu.m a year in 2010. It is predicted to reach 80 billion cu.m in 2020. Moreover, climate change and natural disasters are also leading to the imbalance of water resources. Prolonged heat and decreases in rainfall are threatening all regions of the country. 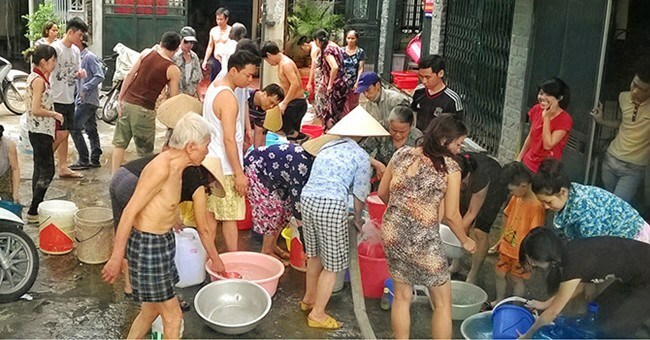 The United Nations Food and Agriculture Association (FAO) suggested Vietnam pay attention to dealing with four issues: socio-economic and environmental impacts of water use, relationship between land use and water resources, consequences of shifting water resources and land use, and social matters arising during a water crisis. Director of GIZ Programme in Vietnam Dirk Pauschert said that GIZ has run several projects in Vietnam’s urban areas to improve adaptation to climate change and protect water resources, including projects to prevent floods implemented in the central and southern coastal localities of Quang Ngai, Binh Dinh, Phu Yen, Khanh Hoa, Soc Trang and Ca Mau during 2012-2016. VAWR Deputy Director Tran Dinh Hoa stressed the need for close and willing cooperation between countries to protect and use water resources effectively and equally. It is also necessary to have a complete policy system on water resources to increase the efficiency of water management, protection and use, and change public awareness and action in ensuring water security, he added.